My husband and I both love The Fifth Element and we were really excited about Luc Besson making another space opera. We were so excited that we pre-ordered the 4K Blu-ray of the movie sight unseen and watched it the day it arrived. I’ve consistently enjoyed the movies that Luc Besson was involved in writing or directing so I was sure this one would be great and my faith was indeed validated. Valerian and the City of a Thousand Planets is based on a French comic book and it revels in its pulpy science fiction roots. The acting is stylized for sure, but that is a deliberate choice to be campy and it still has an earnest heart. I’d only seen Cara Delevingne in Suicide Squad so I wasn’t expecting much but she was fantastic and her Laureline was my favorite character from the movie. Dane DeHaan was an unusual choice to play Valerian, who is supposed to be a suave and confident agent but I actually really liked that he was chosen instead of some traditionally masculine-looking beefcake. The real star of the movie is the worldbuilding and production design, though. I read that Luc Besson wrote a 600-page story bible describing the world of the movie and the histories and home worlds of a hundred alien species. That level of care clearly shows in how immersive the movie is. Valerian‘s environments are fantastic, filled with color and detail and wonder, and there are so many of them. Usually movies that involve this level of CGI look fairly generic but Valerian never has that problem. The effects are so good that you almost believe that the places depicted actually exist and the movie was filmed on location. The inhabitants of the world are also designed with the same meticulousness; Rihanna’s shapeshifting character is especially amazing. One of the major draws of science fiction is the chance to look at a world that’s different from the one we live in, but most sci-fi movies waste that opportunity. 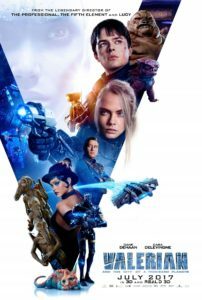 Valerian is one of the few that are really original and I wish there were more movies like it. I hope there is a sequel. Teenagers Enid and Becky (played by Thora Birch and Scarlett Johansson) are about to graduate from high school and experience the real world for the first time (having decided not to go to college). Both Becky and Enid are caught up in the agonizing self-absorption of being a teenager (especially a smart teenager); they are perceptive enough to see the significant flaws in the world around them but they can’t figure out how to engage with that world without taking on the same flaws themselves. They drift apart slowly as Becky is eager to move forward with their plan of moving in together and getting jobs, but Enid is too consumed by her ennui to want to do anything at all. Ghost World does a great job of portraying the way of thinking of a precocious teenager (mostly Enid) but be warned that is fairly uncomfortable to watch. It’s like American Beauty or The Weather Man or The Edge of Seventeen but not as satisfying. 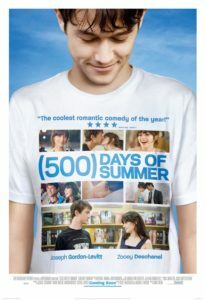 The movie does tell a coming-of-age story, but it is not one of those feel-good ones where unlikely friends push each other to grow into better people and solve their mental issues along the way. It’s depressingly realistic and the character growth mostly involves accepting how pointless and boring life can be, not finding some deeper meaning. This review does a much better job of articulating what I thought of this movie and why it was so good. Edge of Tomorrow was one of my favorite recent sci-fi films and when I heard that director Doug Liman and star Tom Cruise were going to be reuniting to do a movie based on historical events (another favorite genre of mine), I was thrilled. American Made is as stylish and well-paced as I hoped it would be. 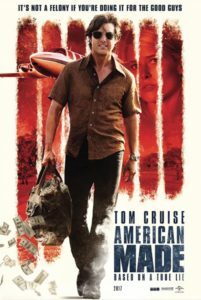 Tom Cruise clearly has fun with his role as real-life CIA informant/drug smuggler Barry Seal, who can’t quite believe (but will take full advantage of) how he’s basically minting money by criminal means with full government approval. The movie’s style reminded me a little bit of The Wolf of Wall Street or Gold, where you’re fascinated by the success of the protagonist even though you find that the societal niche that they fill disgraceful. Domnhnall Gleeson is becoming one of my favorite actors; he has terrific range (see: About Time, Ex Machina, the new Star Wars episodes VIII and IX, Brooklyn) and he plays Seal’s oily CIA handler Monty to perfection. He’s sort of the living embodiment of everything that’s wrong with the world and Barry seems more like his victim than an agent he’s handling. It only helps us root for Barry when we have Monty around to blame. 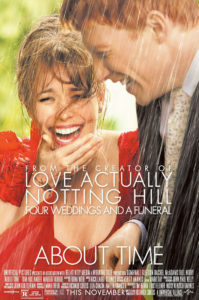 This movie has a mostly comedic tone, but it never lets us forget that this is based on a real story and that people’s actions have consequences. It’s a tough balancing act given the events that it covers, but it pulls it off perfectly. I’m always excited about Japanese animated movies because they ones I’ve watched have been so consistently great. I think a lot of people still associate animation with stories for children but that does animation a huge disservice. 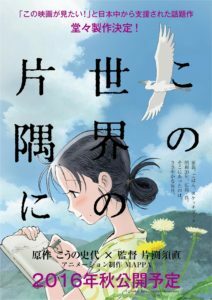 In This Corner of the World follows Suzu, a resident of Hiroshima Prefecture during World War II, and her life before, during, and after the atomic bomb was dropped. Most of the movie takes place before the bomb. 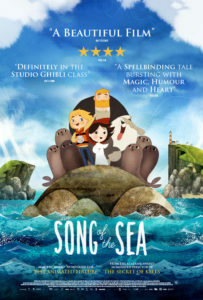 The stories that animated films usually tell are not character dramas, but this movie is entirely focused on its characters. It did a fantastic job of showing Suzu’s complex inner life. It employs techniques that live-action movies can’t pull of as easily; Suzu is a daydreamer and an artist, and she slips in and out of her imagination almost as naturally as breathing. This works well to lighten the movie’s tone without diluting any of the drama and to make Suzu more relatable. I’m sure this movie will be compared to Grave of the Fireflies often, but I don’t think they’re very much alike other than sharing the common theme of the impact on World War II on Japanese civilians. Grave of the Fireflies is about the extremes that people get pushed to during war, but this movie is about the quiet dignity of people that try to live normal lives despite everything happening around them. Suzu’s life is not particularly exceptional, even with the impact of the bomb. There is laughter and joy and sorrow and tragedy and everything else that is part of life. We’re used to looking at the dropping of the bomb as a huge event but seen from the perspective of a single woman’s story, it is both just another milestone in her life, like getting married (albeit with more lasting consequences). It makes you even more scared of nuclear warfare because realizing how it impacts a single person’s life (that we have come to like and empathize with over the course of the movie) and multiplying that by thousands or millions of real people is terrifying. 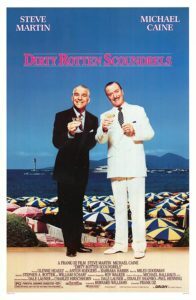 Whoopi Goldberg plays Deloris, a singer who accidentally walks in on her boyfriend (a mobster) executing one of his men. He orders her killed as well but she is able to get away and contact the police. In order to protect her until she can testify, the police place her in a convent where she immediately disrupts the quiet and restrained atmosphere and clashes wills with the Mother Superior. I was expecting this movie to be a dumb comedy and it was, but a better one than I thought it would be. Yes, the story is predictable and some of the situations are pretty ridiculous, but it’s fun and the humor is actually funny (and not mean-spirited like so many bad comedies end up being). 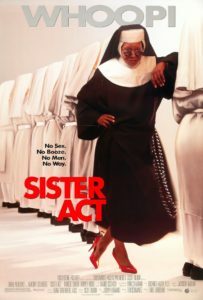 The things that the nuns and Deloris learn from each other make sense and the music that comes out of it is pretty great; I’m not sure the movie would been successful without the music. The characters are all mostly one-dimensional archetypes but they are played well and have heart. Maggie Smith in particular did a fantastic job being lovable underneath her “strict abbess” exterior, she’s not really a villain at all, despite first appearances. As befits a nun, she’s kind to Deloris despite her doubts, and she is easily persuaded by success because she genuinely wants to be the best leader she can be. The plot that involves the murder and the mobster goons looking for Deloris is a little contrived and boring. Harvey Keitel is absolutely wasted in his role as the mobster/Deloris’s ex-boyfriend and I wish that part of the movie had been a little more engaging. 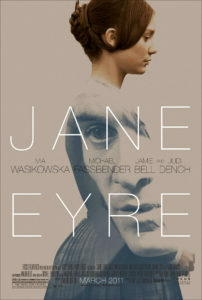 Becoming Jane is based on the true story of Jane Austen’s own romance and how it (supposedly) influenced her own work. I’m an Austen fan (who isn’t?) and I was aware that she had never married, so I knew going into this movie that (unlike her books) this wouldn’t be a happy story. I feel like there are so many film/television adaptations of Austen’s work that they are their own genre, and this movie definitely is trying to fit into that genre. It treats Austen just like one of her own heroines, there are misunderstandings and a ball and walks in the country and so on. It’s a decent Austen-esque movie, although it lacks the wit and social commentary/satire of a true Austen story (but then, that’s usually missing from film/television adaptations as well). It echoes Pride and Prejudice most of all, Jane is feisty and her suitor Tom Lefroy is a little too sure of himself but learns better. Anne Hathaway and James McAvoy do a great job with the material they are given. My main complaint is that I think the movie was trying to force Jane and Tom’s story into the mold of an Austen book too much. 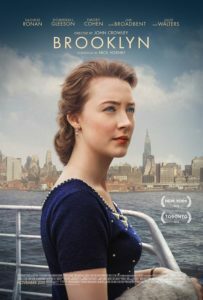 They are immediately and irrevocably in love, but it feels fake because they give it up at the first sign of trouble (I realize the movie is constrained by historical record here, but it could have done a better job of explaining the stakes). It’s too melodramatic. And the Austen depicted in this movie doesn’t seem like a writer; she’s depicted like one of her own heroines but her temperament was fundamentally different from theirs. Unlike her heroines, Austen was an artist, she chose to tread the uncommon path (especially for a woman) of writing for a living, and she was perceptive enough to write books about a variety of characters that seemed believable while also subtly satirizing the society around them. I couldn’t see any of that in the Austen depicted in this movie. Apparently this is a classic British movie; I had never heard of it until I was looking up Daniel Day-Lewis and read that his role is this movie first got him noticed. It follows Omar, a young Pakistani-Britsh man trying to figure out what to do with his life. He starts working for his uncle who owns a chain of businesses including a struggling laundromat. Omar volunteers to take on the laundromat and hires his old friend Johnny to help. 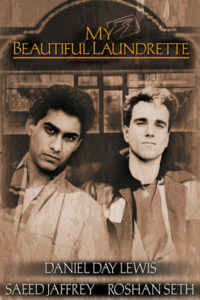 My Beautiful Laundrette had a lot going for it and I really wanted to like it. 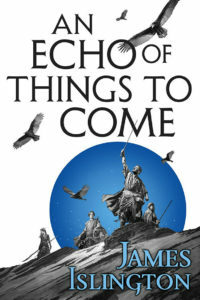 The characters are interesting and have complex relationships with each other; Omar and most of his family are struggling with their identities and torn between competing ideas such as idealism and pragmatism, intellectualism and unabashed capitalism, fitting into British society and keeping in touch with Pakistani traditions. Johnny wants to leave his old life of violence behind as he warms to his role at the laundromat but his actions in the past have hurt Omar and his father and they need to be resolved. Such promising ingredients should have made an interesting movie but it doesn’t tell a tight story and it meanders all over the place. I felt like I was watching a collection of someone’s home movies without knowing anything about them. The actors act so much like real people that it was hard to tell what they were thinking or feeling because there wasn’t much exposition or expression. The dialogue is very natural but it made me feel like I do when my husband’s friends from high school come over and they talk about people I’ve never met for hours. 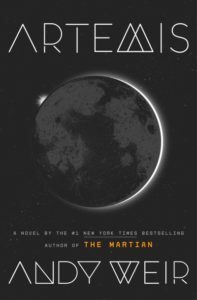 I wasn’t sure what I was supposed to make of it all and I didn’t find it compelling. Also there’s this one piece of “music” that sounded just like sloshing and bubbling water (probably the laundry theme) and played at the oddest times. I found it hard to stay engaged whenever that happened. During the American Civil War, a young student at Miss Martha Farnsworth’s Seminary for Young Ladies in Virginia finds wounded Union soldier John McBurney and brings him back to the school. 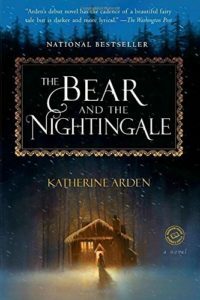 Miss Farnsworth’s first thought is to turn him over to Confederate troops but she is persuaded by her students to nurse him back to health first. As he recovers, tension in the school reaches its boiling point as various women start to compete for his attention. I am an unabashed fan of Sofia Coppola’s work though and I was not disappointed. I read a a few reviews that claimed that it was boring and I can see why people would think that. 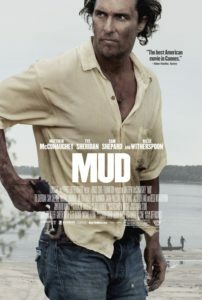 There is not much overt drama, the movie relies on the subtle interactions between characters and how they shift and change as McBurney’s presence affects the women. 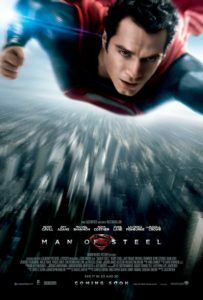 It is not Sofia Coppola’s slowest work though (that would be Somewhere) and it is positively action-packed at the end. I haven’t read the book or seen the previous movie adaptation so I don’t know how this film compares to those. The cast is brilliant – the women at the house include Nicole Kidman, Kirsten Dunst, and Elle Fanning, and Colin Farrell plays McBurney. 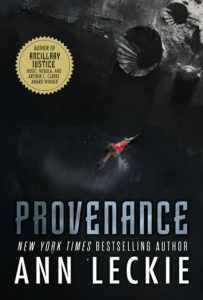 The setting is haunting and its isolation and atmosphere seems to drive the plot as much as any of the characters. 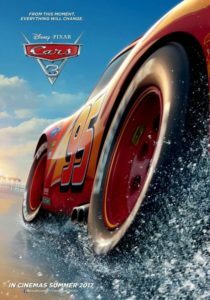 The pacing seems slow at first glance but every scene has its purpose and I thought the movie had a tight focus all the way through. Daniel Hillard (Robin Williams) is a recently divorced and out-of-work actor who is heartbroken that he doesn’t get to see his kids every day anymore. When his ex-wife mentions that she’s looking for a housekeeper, he disguises himself as a prim old lady and gets the job. He can’t keep it up forever though, and his double life eventually catches up to him. 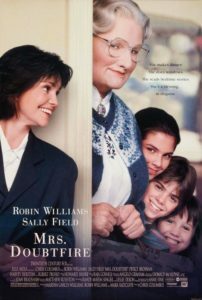 Mrs. Doubtfire is a classic for a reason, it is a fantastic comedy backed by tons of heart. I don’t think anybody but Robin Williams could have pulled off these role, he switches effortlessly between his two personas and stays extremely sympathetic throughout it all. 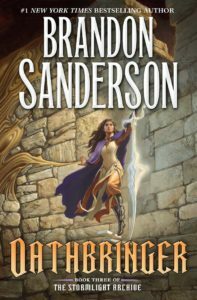 The other characters have integrity as well and aren’t just played for laughs even when it is easy to do so (such as Pierce Brosnan’s character who plays the ex-wife’s new beau). Despite the ridiculous hijinks, this movie has enough realism to make it seem grounded overall. Everybody Wants Some!! follows a group of college baseball players over the course of the two days before the semester officially begins. It’s a Richard Linklater (Before Sunrise, Boyhood) movie and as is often the case, it’s primarily slice of life and doesn’t really have an elaborate narrative. The only thing resembling a plot is that the protagonist, freshman pitcher Jake, settles in at college. I read that this movie was intended as a spiritual sequel to Dazed and Confused (which takes place on the last day of high school) and that made complete sense to me; it has a very similar feel. As with Linklater’s other movies, it doesn’t feel like you’re watching people act, it feels like documentary footage of real people (albeit ones that are slightly more interesting than average). 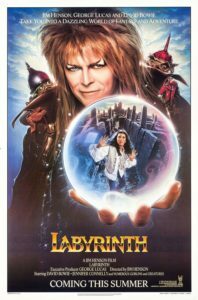 It is set in 1980 and the characters and the locations actually seem like they’re from a different era unlike most other movies set in the past. I’m not sure what else to say about this movie except that if you like other Linklater movies, it’s everything you hoped it would be. I love this genre and I wish more directors made slice-of-life movies like this. Will Rodman (James Franco) is a scientist working on a cure for Alzheimer’s disease, which he tests on chimpanzees. One of the drugs has the inadvertent effect of greatly increasing the chimpanzee’s intelligence, but before this can be fully explored, Will’s project is shut down and he ends up rescuing a baby chimp who he names Caesar. Caesar is incredibly intelligent but he is still an animal and treated as such by most people. Eventually he gets taken away from his family and placed in an ape sanctuary, where he figures out how to empower himself. Rise of the Planet of the Apes is an origin story for how Earth came to become the Planet of the Apes, so I had a rough idea of where the movie was going. I didn’t expect it to have great characters that I was emotionally invested in, though. This isn’t just a good science-fiction movie, it is a good movie. Caesar does not feel like a CGI character; he shows as much depth of feeling as any of the humans (Andy Serkis’s performance is a large part of this, of course) and makes for a compelling protagonist. 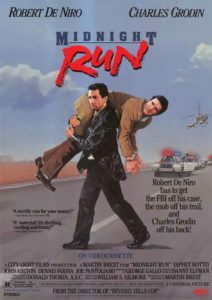 Robert De Niro plays Jack Walsh, a bounty hunter given an assignment to locate Mafia accountant Jonathan “The Duke” Mardukas (Charles Grodin) who has jumped bail. Finding him is easy, but getting him back to Los Angeles from New York is next to impossible with the Mafia, the FBI and a rival bounty hunter all wanting to get their hands on Mardukas. I had never heard of this movie until recently and I’m not sure why it’s not very well-known, it’s surprisingly good! The plot is like Planes, Trains & Automobiles except with the addition of a bunch of baddies chasing the main characters (who don’t want to be traveling with each other anyway). It doesn’t take itself too seriously but by the end of the movie, you realize the characters are really memorable and you care about them. Robert De Niro is excellent as usual, and he has terrific chemistry with Charles Grodin. I’m already looking forward to seeing it again. Torrance Shipman can’t wait to start the school year as the new captain of the Toros, her high school’s championship-winning cheerleading squad. 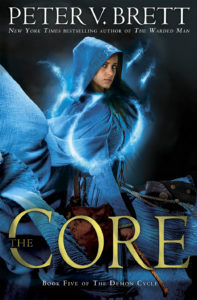 Her plans fall apart when she realizes that the previous captain of the squad stole their routines from an inner-city school and they have to start from scratch in order to have any hope of making it to the nationals. Bring It On sticks to all the usual teen movie stereotypes but I enjoyed it much more than I thought I would. Despite the fluffy content, the characters seem like genuinely nice people and I thought the movie had heart. Kirsten Dunst is one of my favorite actresses and she is great as the protagonist Torrance. Her love interest, Cliff, is played by Jesse Bradford and unlike most love interests in this kind of movie, he actually had a personality. I did wish that the actual cheerleading was a bit more interesting, though; the process of the Toros coming up with their final championship routine is completely glossed over so it was hard to fathom why they couldn’t choreograph those as soon as they realized their current routine would not work. 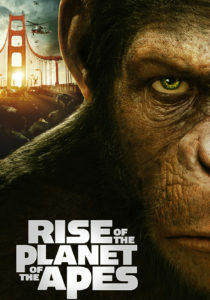 Ten years after the events of Rise of the Planet of the Apes, Caesar has become the leader of an ape colony hidden in the Muir Woods and humanity has been nearly wiped out by the Simian Flu virus. When a group of human survivors from San Francisco start to encroach on ape territory, at first Caesar is able to establish peace with them. But, there are rogue elements on both sides that hope to provoke a war and destroy the other side for once and for all. A lot more main characters are apes now and they are just as compelling as the human characters, which is pretty amazing given that they are all CGI and motion capture. Andy Serkis as Caesar steals the show as always. The human characters do a fine job with the material they have but they are clearly not the stars of the show. I was hoping to see Caesar’s human family again, but this franchise seems to be telling the larger story of the downfall of humanity and the rise of the apes. 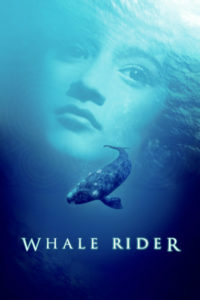 Mike (River Phoenix) is a narcoleptic street hustler living in Portland. 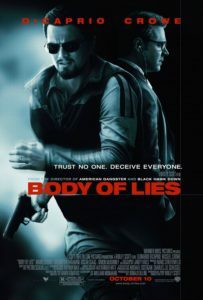 When his narcolepsy ruins his latest assignation with a client, his friend and fellow hustler Scott (Keanu Reeves) takes care of him as he often does. 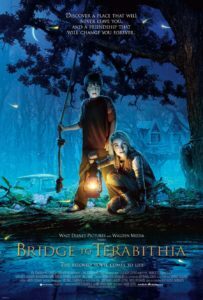 The two of them decide to go on a quest to find Mike’s biological mother, taking them across the country and all the way to Italy. 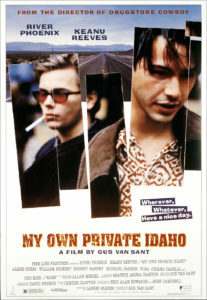 My Own Private Idaho is poignant and intense, it feels like a modern epic. Scott’s character and arc are based on Shakespeare’s Henry IV and V plays and the dialogue involving him is often Shakespearean. Mike is a wholly original character (and the main protagonist of the movie), and his story reminded me a lot of Jon Voight’s character in Midnight Cowboy; they’re both street hustlers with screwed up pasts that they haven’t reconciled themselves with. This weird juxtaposition of Mike and Scott’s stories somehow works very well; River Phoenix’s phenomenal performance is definitely a big part of it. 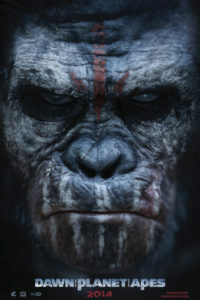 This is the third movie in the new Planet of the Apes series, set two years after Dawn of the Planet of the Apes. Caesar’s apes are at war with the human military and are not doing very well. As the apes flee in an attempt to find sanctuary, Caesar finds that he can no longer push aside his anger and sets out on his own quest for vengeance. 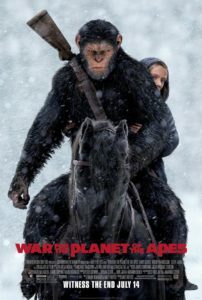 I enjoyed this series far more than I anticipated, but War for the Planet of the Apes was my least favorite because, as the title suggests, it’s a war movie and there isn’t a lot of character-based drama or interesting worldbuilding compared to the earlier ones. It is still very good, though. Andy Serkis continues to do an excellent job playing Caesar and holds together the emotional center of the movie admirably. I knew what the ending had to be, but the movie made me feel genuine tension about what was going to happen and how the apes would survive.